PIX Wireless launched in 2015 as a Sprint MVNO. A year later it added AT&T as a network partner. Today Pix Wireless is focused on two market niches. One product line, Pix Wireless’s monthly phone plans is aimed at the traditional MVNO market and customer base and is served on the Sprint network and Verizon networks. The prepaid provider added service on the Verizon network in November of 2018. The other product line, Pix World GSM targets world travelers. Domestically it’s serves customers on the AT&T and T-Mobile networks. Worldwide it has over 190 partners and also includes coverage on cruise ships. Pix World does charge for international coverage by the minute, text and MB of data. Service and SIM cards can only be purchased directly from the Pix Wireless website. Pix Wireless supports bring your own device. Any phone that is compatible with Sprint or Verizon will also work on Pix Wireless, as long as it is out of contract and paid off in full. 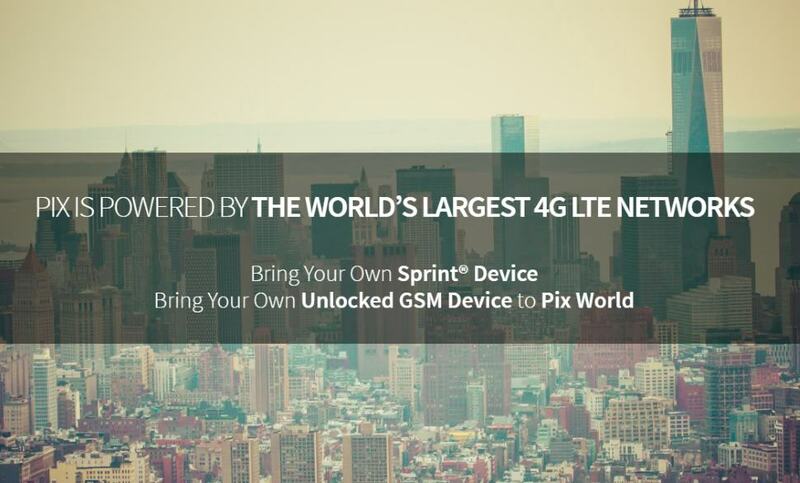 Pix World GSM will require a phone that is compatible with either the AT&T or T-Mobile network. It must be out of contract and paid off in full. Most universally unlocked phones from manufacturer’s such as Motorola and Samsung should be compatible with all Pix Wireless plans. Customer support is available through email, online chat, Facebook Messenger and by text message at +1 305 570 4123. No support hours are listed on the MVNO’s website. I switched to PIX’s silver plan and was totally impressed. Porting number was fast, setup easy and painless. Had a question on billing and it was answered immediately. My service here in NC improved quite a bit over previous carrier. Cost per month includes taxes and fees. I have a moto G6 which set all necessary apn’s and network settings. @Ed D hows the service so far? I’m thinking of trying them out but can’t seem to find any reviews.